Qualitative Text Analysis (often called Qualitative Content Analysis in Europe) is one of the most commonly used methods for analyzing qualitative data. In this workshop, first, the basics of systematic qualitative text analysis will be discussed, carving out the main characteristics of this type of analysis. The focus of the workshop will be on the main methods of qualitative text analysis: thematic analysis and evaluative analysis. Furthermore, different ways of setting up your coding frame (inductive and deductive) will be treated and trained. The workshop will also include hands-on parts particularly focusing on thematic analysis; special attention will be given to the topic of preparing and presenting results. This workshop is based on: „Qualitative Text Analysis. A Guide to Methods, Practice and Using Software. Sage Publications Ltd. 2014 by Udo Kuckartz“. After attending this workshop, you will have good knowledge of qualitative text analysis, particularly of its two main methods. In addition, you will be able to use the methods appropriately and perform your own qualitative text analysis with MAXQDA. 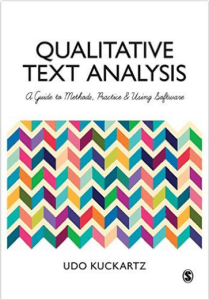 For anyone who is interested in the theory and practice of Qualitative Text Analysis and would like to learn more about the different analysis strategies that can be realized with MAXQDA. Basic knowledge of the methods of social research will make the workshop easier to understand. Basic knowledge of MAXQDA is required: you should be familiar with the interface, be able to code texts, retrieve coded segments and write memos. Please bring a laptop with MAXQDA 2018.1 (Windows or Mac) installed to this workshop. The free trial version is sufficient. 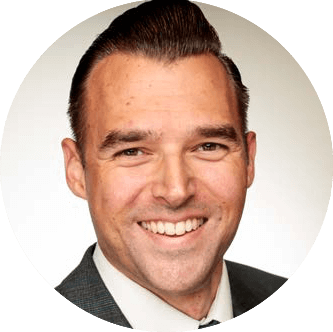 Daniel Rasch is a post-doctoral researcher in political science at the German University of Administrative Sciences, Speyer. He received his Ph.D. with a mixed methods analysis of lobbyists‘ success in the European Union. He focuses on the quantification of qualitative data. He is an experienced MAXQDA lecturer and has been a Professional MAXQDA Trainer since 2012.